Unless you have been under a rock—or perhaps outside enjoying this unusually fine and springlike winter—you know this year marks the 200th anniversary of the birth of English novelist Charles Dickens. For two centuries, Dickens has been a social and cultural force. He was immensely prolific, and his books have never gone out of print. But still, it is pretty amazing that his stories have held up so well, for so long, in popularity and in the public consciousness. It is well known that Dickens changed society’s attitude to the poor by calling attention to child labor, debtor’s prisons, and the dismal, imprisoning poverty of those who fell under the wheels of “social Darwinism” during the Industrial Revolution. Though he was no revolutionary, his words fueled social reform throughout England. His stories also helped spread these notions to Europe and North America. Culturally, Dickens continues to impact us. The BBC credits him with modern character comedy, our view of the law, and the concept of red tape. He also shaped our notion of Christmas. And just how many catchphrases have been derived from his name? “What the Dickens?” “A Dickens of a time.” And of course, “Dickensian” which appropriately has several different meanings: 1.) squalid or deprived as in “a Dickensian slum” 2.) jolly and cosy as in “a Dickensian Christmas” 3.) overtly serendipitous as in “a Dickensian inheritance from a long-lost relative” 4.) grotesquely comic, like the “Dickensian Child Catcher” in Chitty Chitty Bang Bang. Ok, the Child Catcher was soooo Roald Dahl, but Dickens was one of his favorite authors. Beyond Dahl, the litany of writers influenced by Dickens reads like a who’s who of literature: Elizabeth Gaskell, Edgar Allen Poe, Thomas Hardy, Emily Dickinson, TS Eliot, GK Chesterton, Somerset Maugham, George Orwell, Graham Greene, T. Coraghessan Boyle, Tom Wolfe, Richard Russo, Zadie Smith, and John Irving—just to name a few. Dickens was also particularly esteemed by contemporary Russian writers, including Ivan Turgenev, Fyodor Dostoevsky, and Leo Tolstoy. Oh, and Dickens has snagged a current coup for writers—pick for Oprah’s Book Club—three times. Oprah also invited author Jane Smiley to talk about Dickens and Social Change. I am still making my way through his giant body of work, picking up a book every year or two. 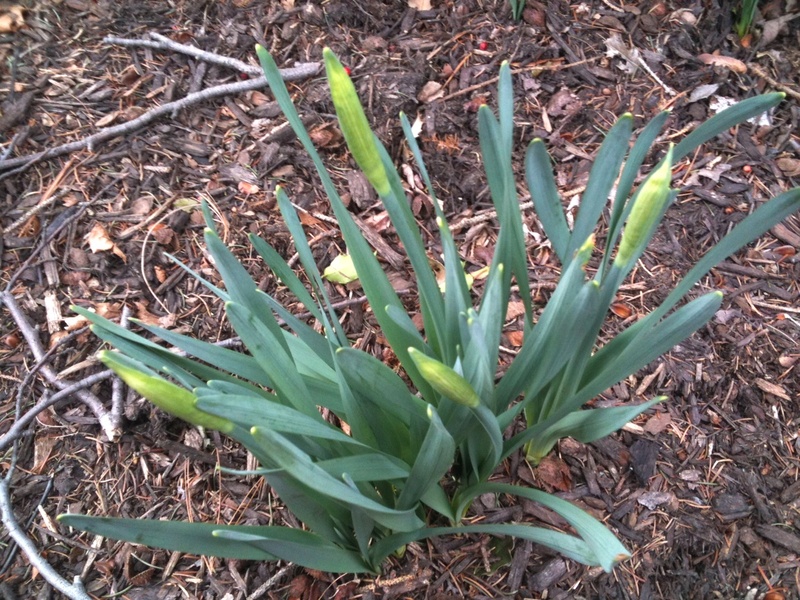 On deck this year, will be Our Mutual Friend. A biggie that I confess I have not read. Many of you will now click away in shock and disgust. And if so, I suggest you try one of the many wonderful Dickens links listed at the end of this piece. It’s a bit like that comfortable feeling of putting on a favorite sweater when you start a new Dickens—his rich, inviting words and his distinctive characters. I usually read his books in the winter, by the fire. Even though they are nice and thick, I just can’t work them as beach books, perhaps because they are so dense and so descriptive—and often so serious in theme. Dickens stories have a cinematic feel, as he really invests in setting. There were no movies or TV back then, so he painted out the scenes for his characters … and his readers. Gas looming through the fog in divers places in the streets … Most of the shops lighted two hours before their time–as the gas seems to know, for it has a haggard and unwilling look. Sumptous! It’s almost like the opening of a David Lean film, with the camera panning through the fog and the streets of London until it zeroes in for the close-up of the Lord High Chancellor. And that’s with about half of the words hacked out by my ellipses—the actual opening has even more detail and atmosphere. Indeed, Lean, who is best know for epics such as Doctor Zhivago and Lawrence of Arabia, also filmed both Oliver Twist and Great Expectations. Pioneering film director DW Griffiths pointed to Dickens as a source for his choices in camera angles and scene layouts, and even today film theorists continue to cite Dickens’s influence on the cinema. He is the most adapted author, with over 400 versions of his books on film and TV. In addition to the obvious forum, Masterpiece Theater, Dickens has been a source of inspiration for shows like NCIS, Big Love, and LOST. HBO’s The Wire featured an episode on Baltimore’s homeless titled “The Dickensian Aspect.” And even South Park spoofed Great Expectations in “A Dickens Classic.” LOST not only had an episode called “A Tale of Two Cities,” but also hid many ‘easter egg’ references to Dickens throughout the series. Exec Producers Carlton Cuse and Damon Lindenhof said they admired Dickens ability to develop elaborate plots over hundreds of pages, especially tricky considering his novels were mostly written in serial form, like episodes of TV. However, it seems that ‘Darlton’ did not quite pick up on Dickens’s knack for tying up loose ends. And watch out Disney World, Charles Dickens is feted his own theme park, Dickens World. It’s in England, in Kent (of course), and it does sound a bit twee, as the Brits would say. But then aren’t all theme parks? The New York Times visited the park and also jaunted around Dickens landmarks on a literary tour. I have also heard great things about the Charles Dickens Museum in London. But why travel when you can enter the world of Dickens just by opening one of his books? And don’t miss the brilliant series of cartoons which lampoon the author and his works in The New Yorker. Finally, you get a sense of Dickens’s reach just from the many celebrations this year for him in places that he never lived like Paris, France; Bologna, Italy; and Zurich, Switzerland. There are also numerous events in the US, and, of course, throughout the UK. 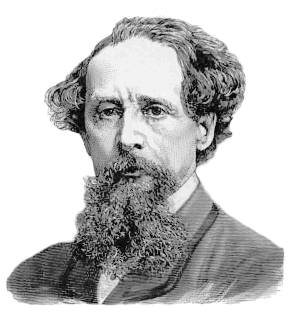 Check out Dickens 2012 for a complete listing of events and tributes worldwide. Just had to share this captivating gem of a short film that is “a love letter to books” and showcases “the curative power of the story.” The Fantastic Flying Books of Mr Morris Lessmore has been nominated for this year’s Academy Award for Best Animated Short Film. Full of whimsy, and with a nod to The Wizard of Oz, the film feels like a booklover’s Up, offering a similar charming, but not corny or saccharin, pull at the heartstrings. Visit MoonBot Studios for an interactive story app for iPad, a portfolio of stills, and more on the film. They are also offering it via iTunes. –Reading Riverhead: Why is Sarah Reading The Wandering Falcon? This week I am sharing the joy of reading with Reading Riverhead, which spotlights readers and books that they love. So why I am reading The Wandering Falcon? Hint: it’s a searing, beautiful book, which by the way, I highly recommend. Soon to follow up with a rave-view.